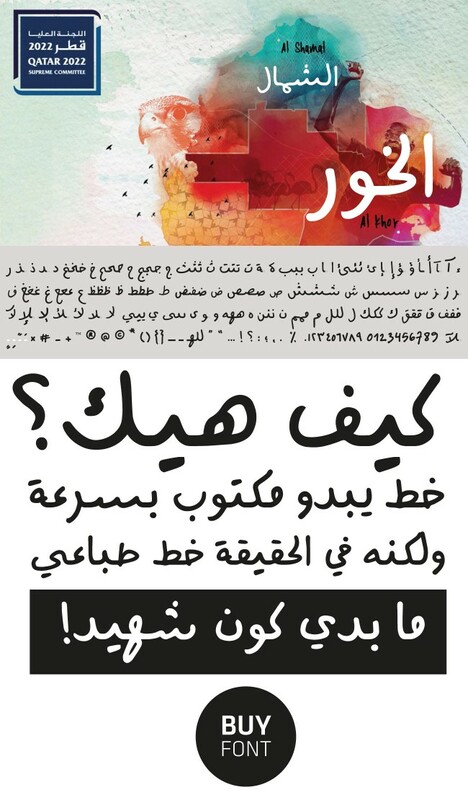 The Arabic-Handwritten font is, as its name suggests, a typeface that imitates a casual Arabic handwriting. The font was crafted to look like authentic hand scribble, when used in small sizes but also when printed on very large billboards. Arabic-Handwritten font was designed after the design and success of the Mathaf Script font, the custom typeface that we exclusively designed for the Arab Museum of Modern Art in Qatar. The big demand for a typeface similar in concept made us at Tarek Atrissi Design look into designing a new scribble typeface: A typeface that builds on the learning experience we gained in designing the popular Mathaf type. While Arabic-Handwritten is based on the same idea of capturing the hand scribble, it was crafted based on a unique and different handwriting and a Sharpie-like stroke that gave it a completely different flavor than the Mathaf font. 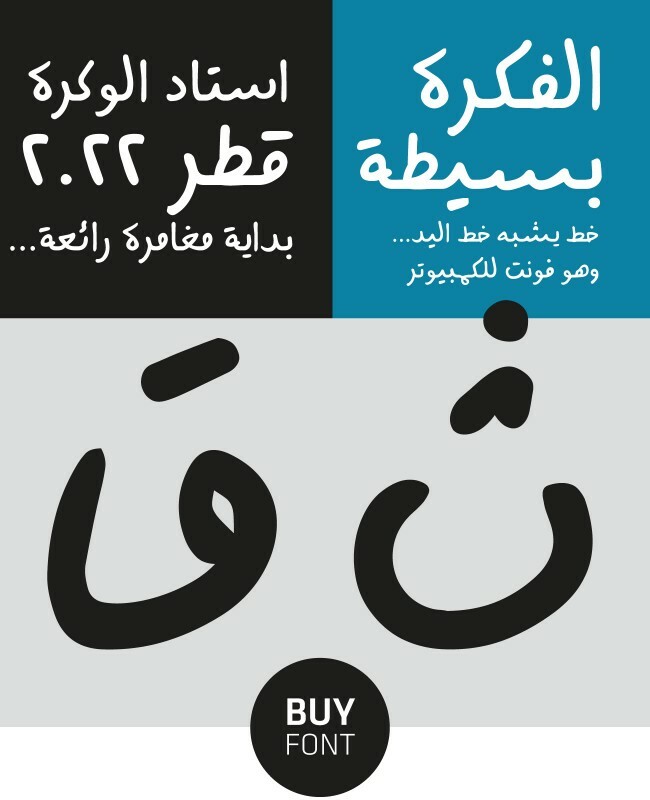 Upon the release of the Arabic-Handwritten typeface in 2013, it was immediately licensed by various organizations to be used as part of the branding and advertising material. The Qatar 2022 FIFA world cup committee was of these organizations, using the Arabic-Handwritten typeface in their marketing collaterals. The font is ideal for any design work requiring a handwritten-like typography. 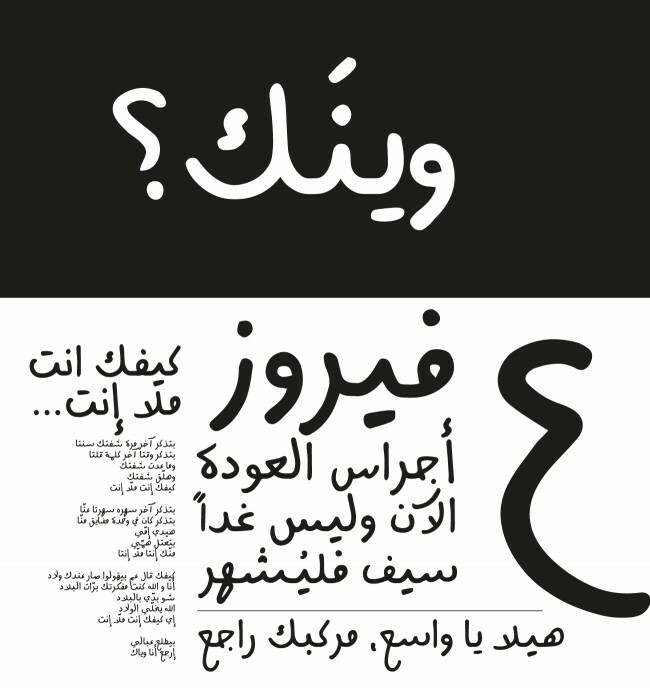 Order your license and download the Arabic-Handwritten typeface on the www.arabictypography.com website.